the birth of his daughter with help from the Red Cross. Over the last 7 days, the Greater New York Red Cross provided emergency assistance to 93 adults and 35 children following 44 local disasters. Here are some highlights from last week and a preview of upcoming activities (see below). Late last week the Red Cross mobilized a large-scale response to historic flooding in West Virginia that left thousands homeless and more than ten people dead. Among those on the ground helping are four employees and volunteers from this region. This weekend, our #GetAlarmedNYC team visited neighborhoods in Queens where dozens of volunteers installed 400+ free smoke and carbon monoxide alarms in area homes. Hope Worldwide partnered with us on Saturday to install smoke alarms and make Mount Vernon a safer place. Together we installed over 80 alarms. We teamed up with the Port Washington Crisis Relief Team this Saturday and together we were able to install 182 smoke alarms, making 67 homes safer! Thank you to Assembly Member Michelle Schimel for sponsoring the event. Thank you to the Port Authority for leading an emergency drill at LaGaurdia Airport on Saturday morning. On Friday, Red Cross’ Sara Onvani spoke about our Restoring Family Links program at a World Refugee Day conference hosted by CWS Global, an event that featured many prominent guests. Regional Disaster Program Manager Dario Diaz led our staff through a mass casualty drill on Thursday. 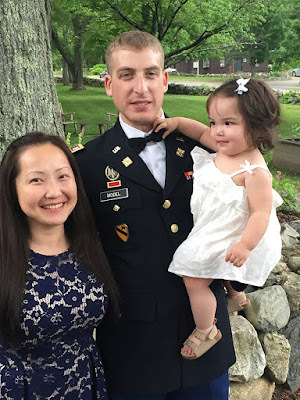 In our latest #MyRedCrossLife Instagram post, we featured Army Captain Seth Model who shared how the Red Cross was able to help him be there for the birth of his daughter. On Tuesday, we sat down with Dennis Patrikios who shared his thoughts on deployment and volunteering for the Red Cross. We also highlighted Red Crossers Roxy and Jack on Monday who discussed their experience volunteering for the Red Cross and their work following the Orlando shooting. Earlier in the week the Huntington Patch and the Long Islander News both talked to LI Red Cross mental-health volunteer Tom Hlenski about his recent deployment to Orlando. Earlier this month at the Red Cross on Long Island's Red and White Dinner Dance, we honored members of the American Ex-Prisoners of War on Long Island. This video paid tribute to these heroes. June 27, 29 & 30: Red Cross blood drive: 1 to 7pm: 520 West 49th Street, Manhattan. Schedule an appointment to donate today. July 6, 16: In a relaxed and friendly setting, you'll make new friends and learn about the many ways you can volunteer to support your community via the Red Cross during our NYC Volunteer Orientation. July 9: #GetAlarmedNYC is coming to Wakefield, Bronx. Volunteer to help out, or sign up to get a free smoke alarm installed in your home. July 23: #GetAlarmedNYC is coming to the Lower East Side, Manhattan. Volunteer to help out, or sign up to get a free smoke alarm installed in your home.